3rd Test Australia vs India: The Melbourne Cricket Ground pitch faced the heat on social media as wickets did not fall and India captain Virat Kohli and Cheteshwar Pujara stitched an unbeaten 150+ runs partnership. 3rd Test Australia vs India: The Melbourne Cricket Ground pitch faced the heat on social media as wickets did not fall and India captain Virat Kohli and Cheteshwar Pujara stitched an unbeaten 150+ runs partnership. The MCG wicket is easily the best batting track on the trip and keeping in mind this is the high-profile Boxing Day Test hence the fans seemed to have been expecting a more lively track but that was not to be. 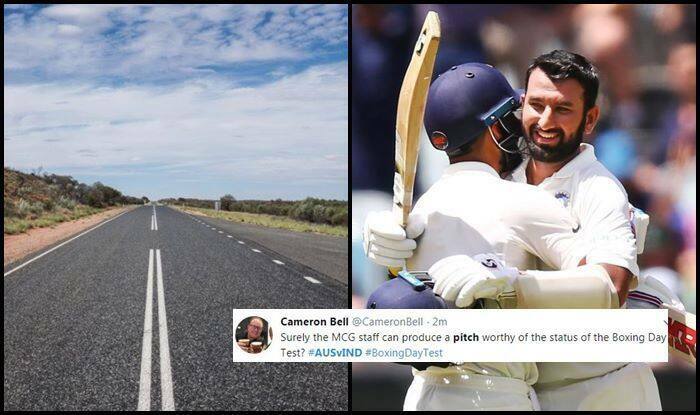 The wicket is expected to get a little tricky on Day 3 and 4, but with Australia losing hold of the Test, fans took to Twitter to slam the pitch. Some fans also believe that the nature of the MCG wicket has killed the excitement of the series. Here is how the pitch got bashed. Pujara reached his 17th Test hundred whereas Kohli is looking set to reach his 26th Test ton. India looks well-set to breach the 400-run mark, which would mean that Australia cannot win from there. Some Indian commentators also went on to reckon that the Australians would be feeling they are playing away from home, which does not do Test cricket any good.